OAKLAND — Former Your Black Muslim Bakery leader and convicted triple killer Yusuf Bey IV is finally on his way to state prison after prosecutors dropped the last remaining case against him Friday. Bey IV, 25, lowered his head, then looked away and seemed to chuckle to himself as Deputy District Attorney Melissa Krum told Judge Carrie Panetta that kidnapping and torture charges against him would be dismissed following a plea deal with his last remaining co-defendant. 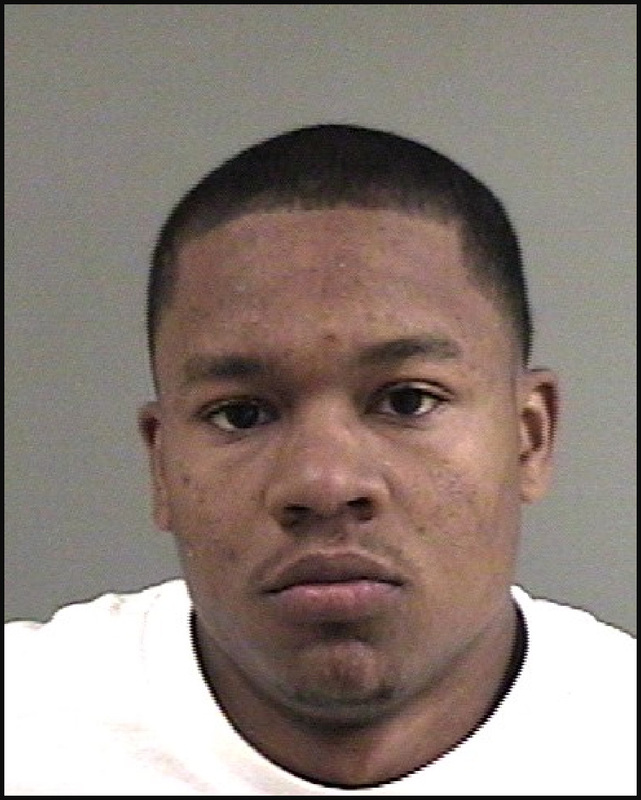 Bey IV was convicted in June of ordering the killing of Oakland Post editor Chauncey Bailey and two other men in 2007 and was sentenced to three consecutive life terms in prison without parole. At one time, he faced more than 35 separate felony charges spread over 10 criminal cases involving crimes ranging from vandalism and real estate fraud to torture and murder. Krum said she expects Bey IV to be transferred to prison over the weekend and to eventually serve his sentence in maximum security either at Pelican Bay State Prison or at a contract prison out of state, perhaps in Arizona or Mississippi, where California houses some inmates. Bey IV has been under heavy guard since his conviction. Five bailiffs were present in Panetta’s courtroom as Bey IV was led in shackles and wearing a bright red jumpsuit signifying he is being held in protective custody. He clutched a binder of legal papers, perhaps still thinking that a hearing on his request to represent himself in the kidnapping case would proceed. It is likely he will begin his incarceration with an orientation period at San Quentin Prison in Marin County. Records show that is where his co-defendant in the murder case, Antoine Mackey, 25, is now held. Also there is Bailey’s confessed killer, Devaughndre Broussard, 23. Mackey, convicted of two murders, faces consecutive life terms with no parole. Broussard, who was Krum’s chief witness, received a 25-year term through a plea bargain. Both Bey IV and Mackey are appealing their murder convictions. The decision to drop the remaining charges against Bey IV came after another man, Tamon Halfin, also charged in the May 2007 kidnapping of two women and the torture of one of them, pleaded no contest to two counts Friday after waiting more than four years for trial. The decision also ended Bey IV’s attempts to represent himself in that case. Halfin, 24, agreed to a 16-year prison term with one felony strike. He had faced the possibility of life in prison without parole eligibility if convicted by a jury. He will be sentenced next month. Wearing a canary-yellow jumpsuit and thick, dark glasses, Halfin admitted to Panetta that he participated in the May 17, 2007, highway kidnapping of two women. One was later tortured inside an abandoned house as Halfin held her mother at gunpoint in a car parked outside. Another defendant, Yusuf Bey V — Bey IV’s half brother — testified at a related trial that Bey IV believed the women knew where a cocaine dealer kept as much as $500,000 they hoped to use to bail the bakery out of bankruptcy case. A police officer happened upon the scene and rescued the woman, who was beaten, cut with a knife and threatened with being burned to death. Recent law enforcement documents made public in a federal lawsuit show that the torture victim was later threatened by bakery members and that police helped her to move out of the area. Krum told Panetta on Friday that the decision to drop the charges against Bey IV was motivated by a desire to spare the victim from testifying again. In addition to Bey V, another member of the sprawling family, Joshua Bey, turned state’s evidence in the kidnapping case and testified against the only defendant in it to stand trial: Richard Lewis, 27, was convicted last year and sentenced to life with no parole. Reach investigative reporter Thomas Peele at 510-208-6458. Follow him at Twitter.com/thomas_peele.